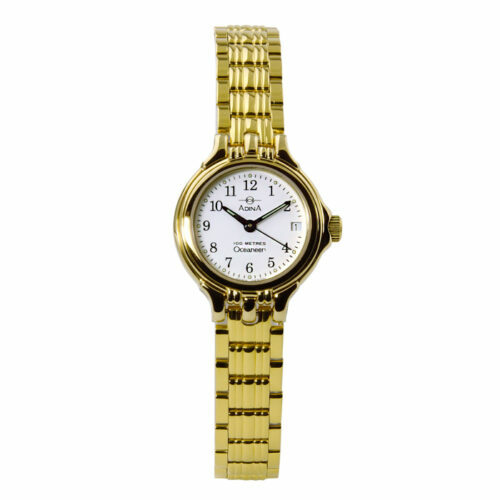 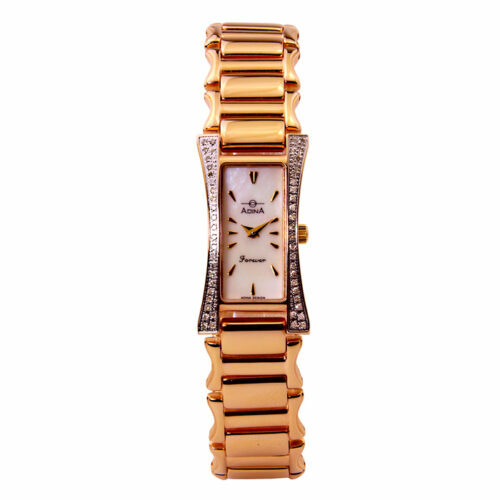 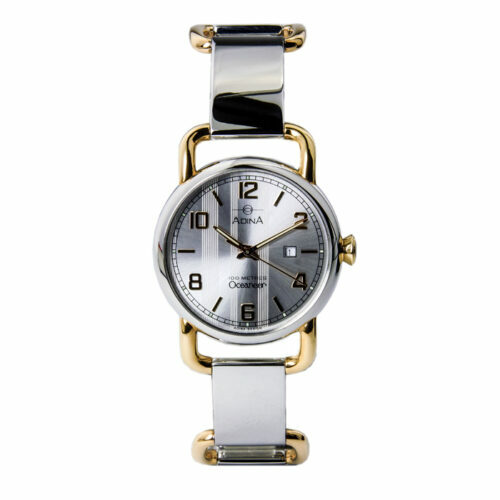 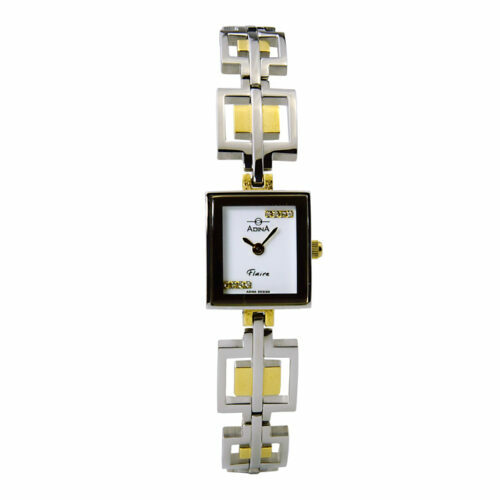 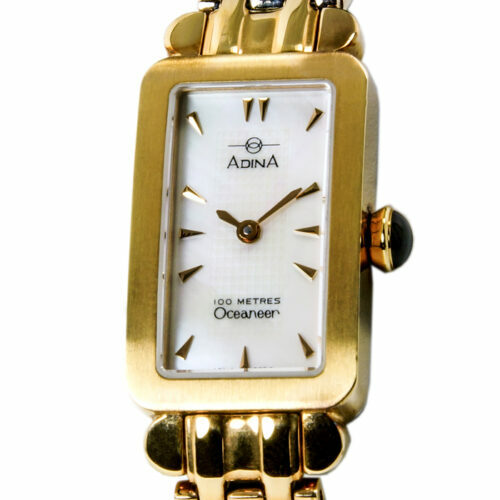 Free shipping within Australia 2 year warranty Adina Oceaneer Hybrid Sports/Dress Watch NK157 M1XB A majestic mid sized robust nickel free designer all stainless steel case.The smooth rounded lines have been Ionically hard gold plated. 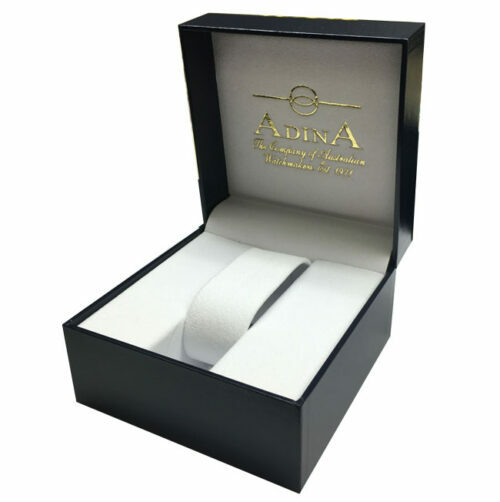 This technologically advanced plating technique will ensure lasting beauty. 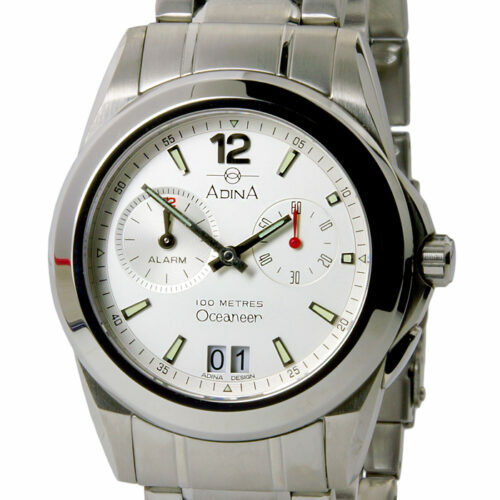 Being an 10ATM water resistant Adina OCEANEER, it is designed for everyday use including swimming and showering and employs a Bi-oring crown system for superior water and dust protection. 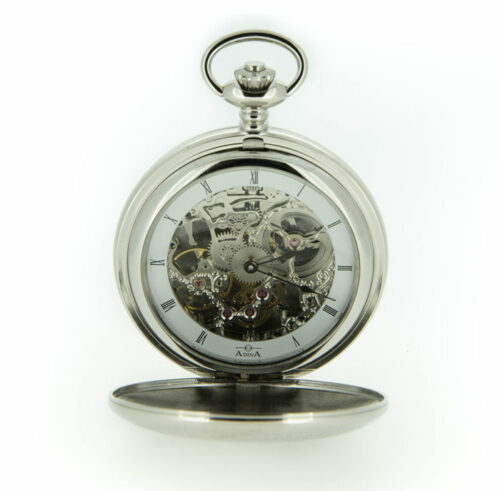 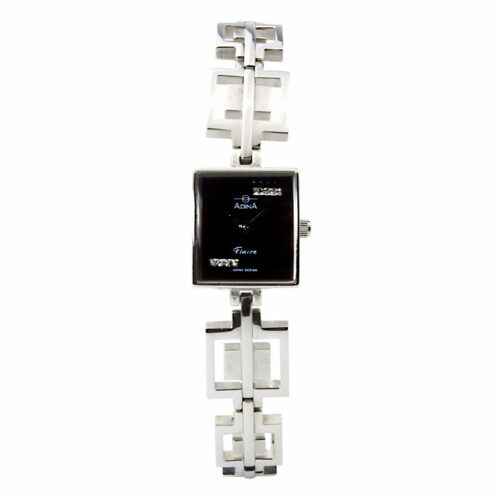 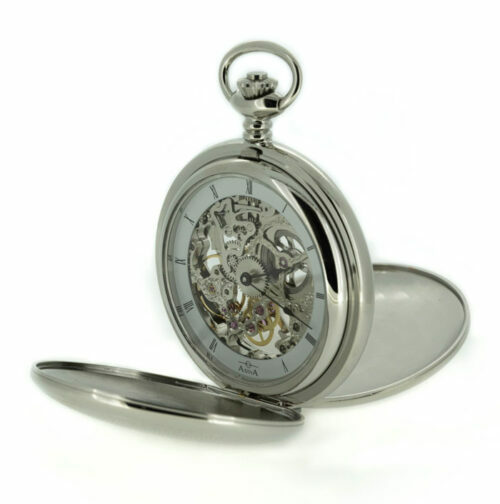 It is equipped with a Sapphire Crystal for unparalleled scratch resistance and is powered by a fully repairable Swiss movement. 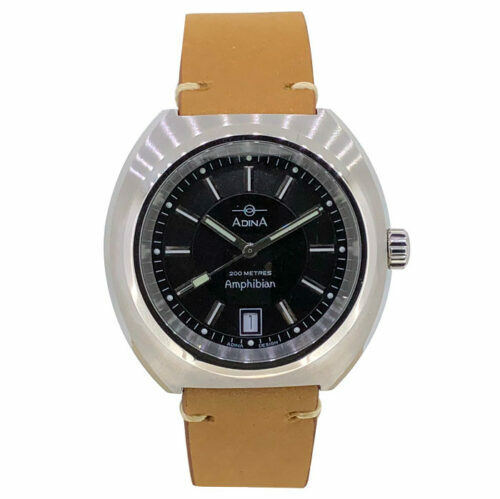 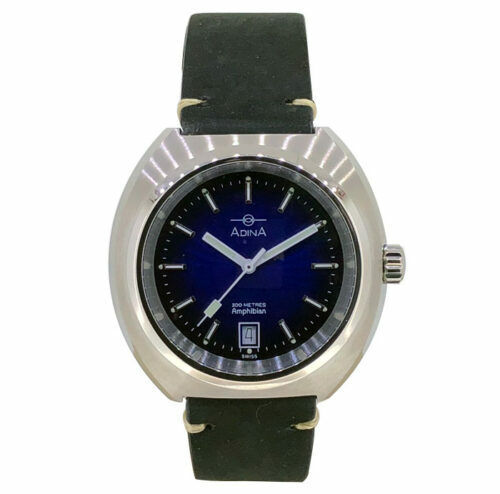 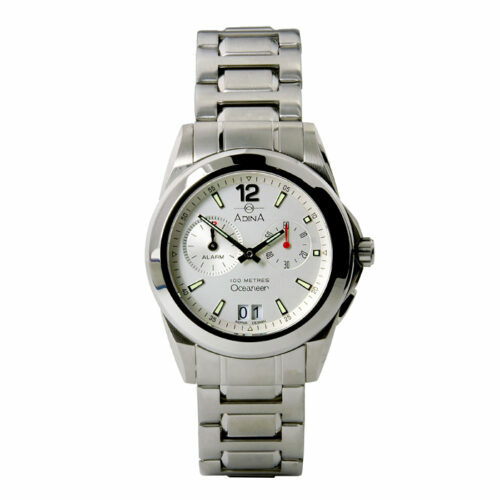 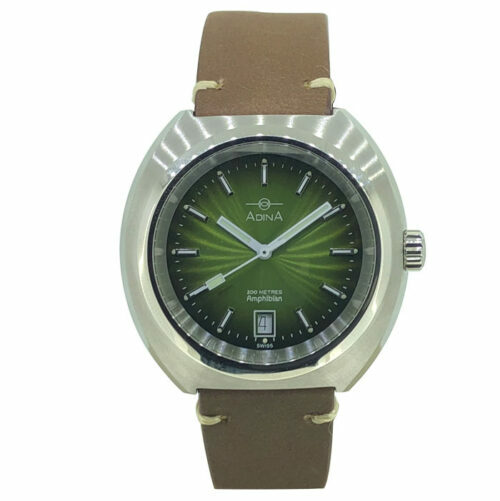 Free shipping within Australia 2 year warranty A flat-line profile, classic style, performance and un-compromising quality are the hallmarks to the enduring popularity of the Adina Oceaneer sports watch CT109 S5RB. 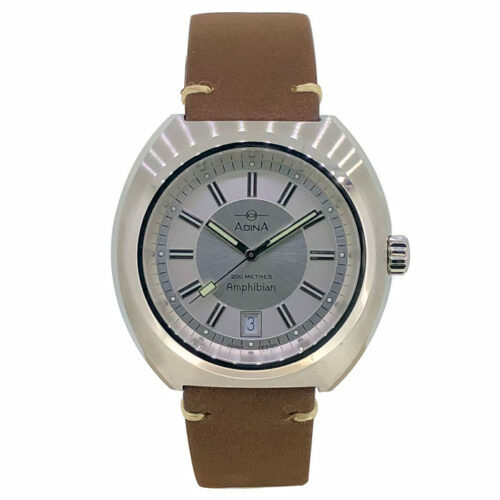 For more than 4 decades ladies Oceaneers have been the signature stand out in our collection and this model is sure to be an integral part of it and of many of life’s events, in whatever shape they may have come. 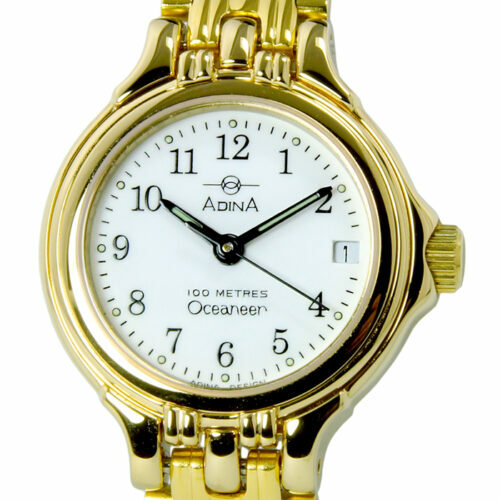 As with all Adina watches, is completely designed and assembled with meticulous care and attention to detail by hand in Brisbane, Australia. 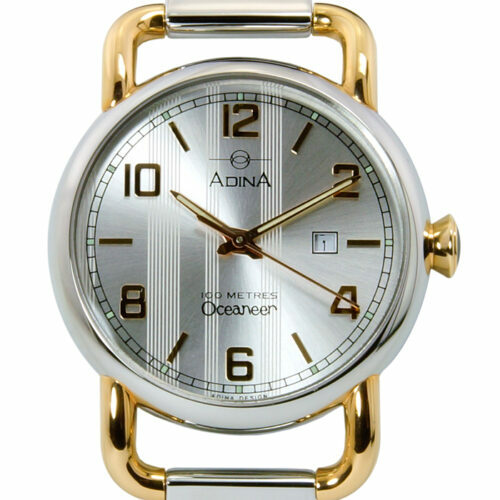 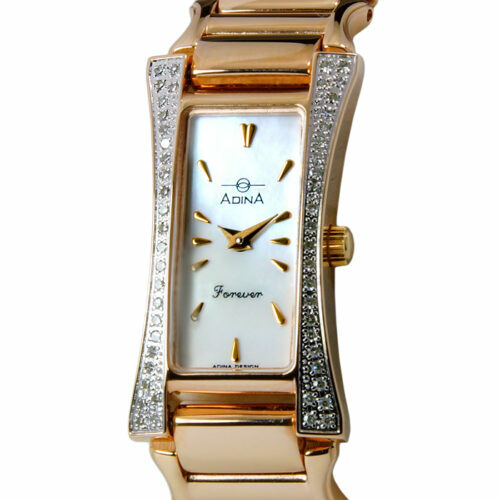 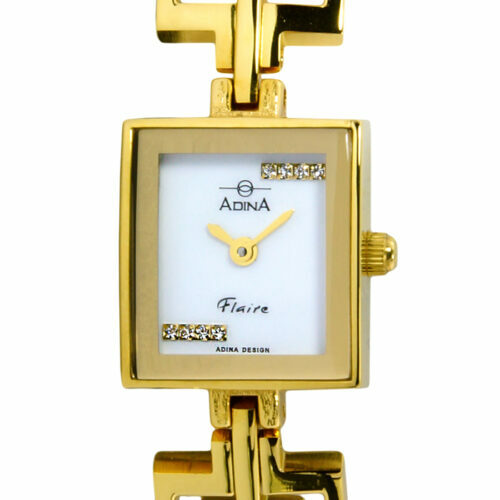 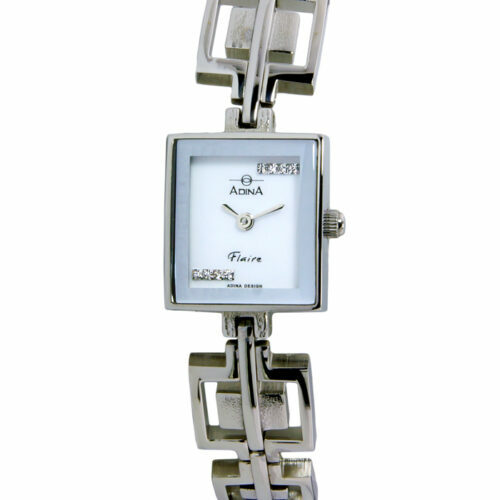 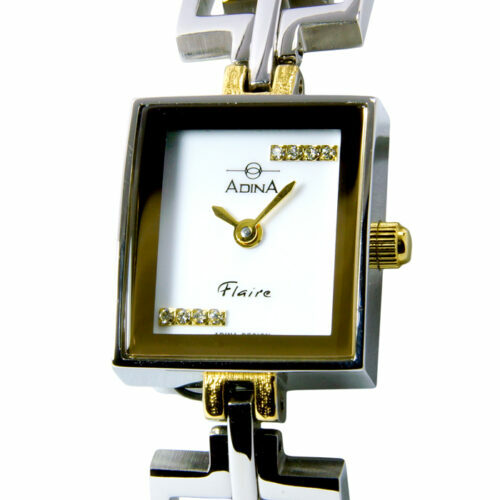 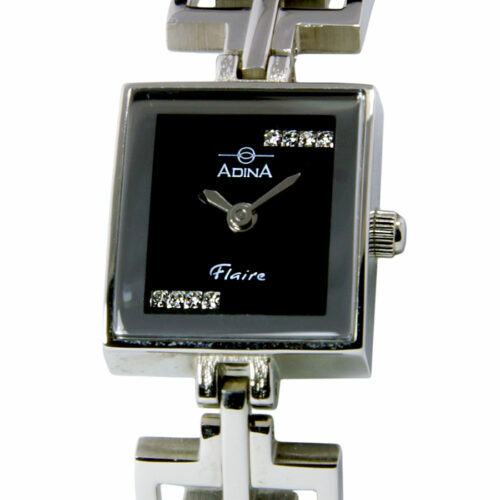 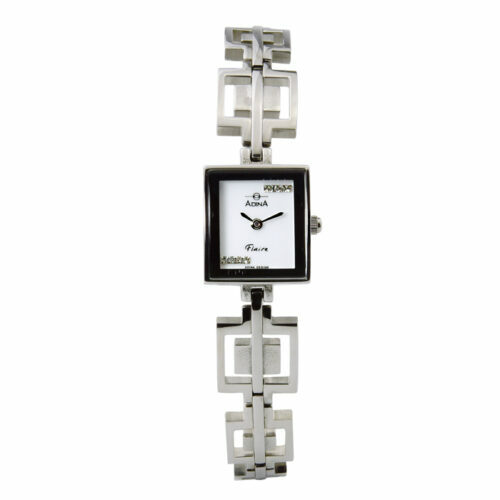 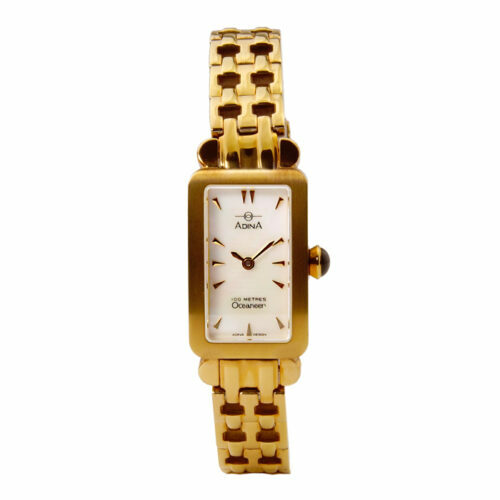 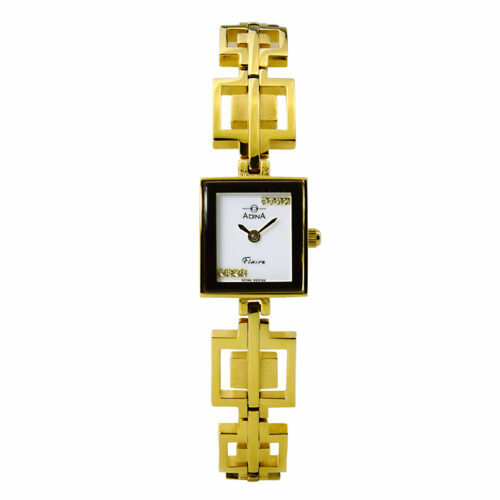 Adina, Australian Watchmaking at it’s finest since 1971.